Carrots cake is delicious, but don’t be fooled – carrots don’t necessarily make it healthy. Traditional carrot cakes are loaded with processed sugars, refined white flour and plenty of oil. But this Carrot Cake Smoothie recipe has all the flavors of carrot cake, without all the unnecessary fats and sugars. 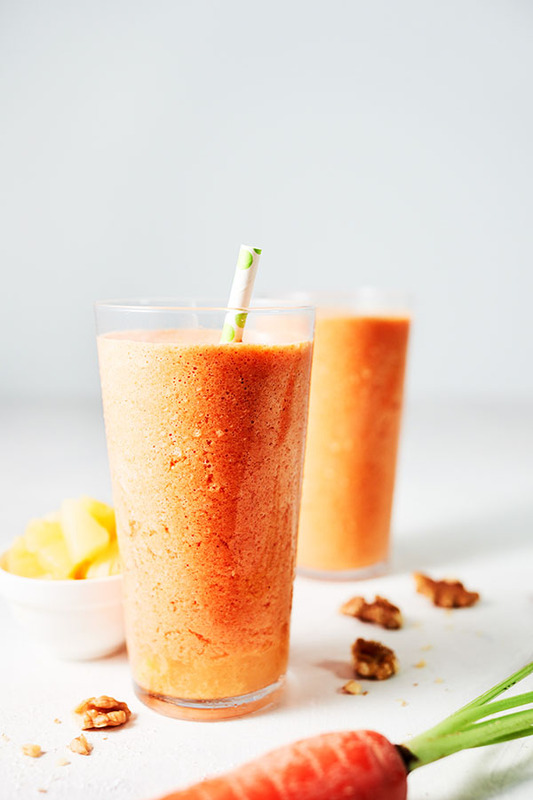 This shake packs a punch of flavor, thanks to the fresh carrots, naturally sweet pineapple, walnuts, and cinnamon. Vanilla Shakeology makes it extra creamy and adds a delectable vanilla flavor that’s a healthy alternative to the super sugary cream cheese frosting on top of most carrot cakes. 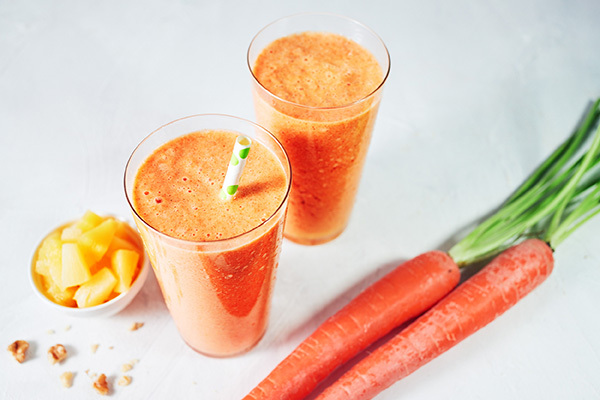 For this carrot cake smoothie recipe, you can use canned in juice, or substitute fresh or frozen pineapple chunks. Alternatively, you could swap in a different type of fruit for the natural sweetness. Mango, apple, or pear would all work well. Instead of walnuts, you could use any other type of nut (such as almonds or pecans) — or leave them out altogether. Since the base of this shake is dairy-free almond milk, substituting Vegan Vanilla Shakeology would keep this drink completely vegan. Don’t have Shakeology yet? Get all of the Shakeology flavors here! 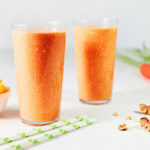 This Carrot Cake Smoothie recipe has all the flavors of a beloved carrot cake, without all the unnecessary fats and sugars. Place almond milk, ice, Shakeology, carrot, pineapple, walnuts, and cinnamon in blender; cover. Blend until smooth. Makes a great breakfast with a bonus veggie.